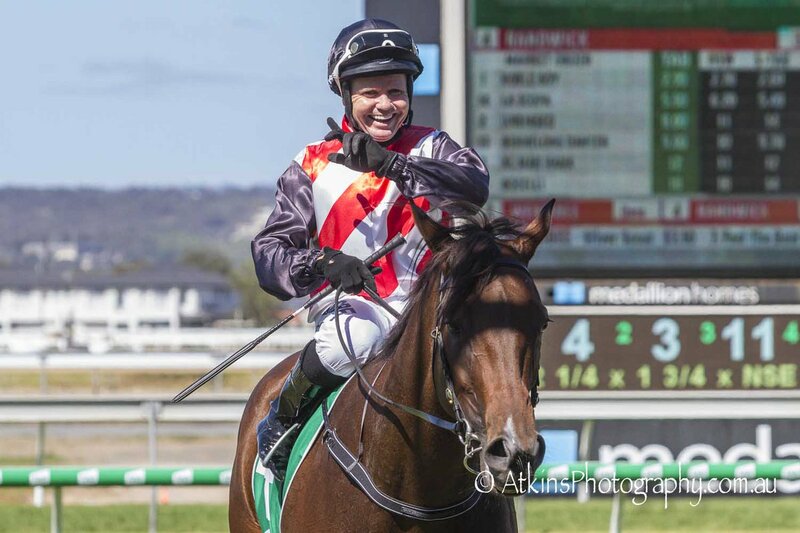 Quality mare Set To Sparkle notched her sixth win from just 17 starts with a dominant victory at Morphettville Parks on Saturday, April 6. Jockey Barend Vorster had the Tony McEvoy-trained five-year-old mare, the $2.10 favourite, beautifully placed early before dashing clear in the home straight to win the Winning Edge Presentations Handicap (1300m) by 2-1/4 lengths from Miss Iano ($4.60) with Zagato Star ($21), 1-3/4 lengths away third. Set To Sparkle began well from her inside draw and trailed the leaders early before sprinting home strongly. Assistant trainer Calvin McEvoy said Set To Sparkle had been dominant. “We were pretty confident,” McEvoy said. “She had come back from Melbourne, had a 35-day freshen up and the reports from her trackwork riders were that she was going very well. “Today, the race worked out perfectly. Winning jockey Barend Vorster said he had enjoyed a beautiful run. “There was nice speed around me, and she travelled really well and had a comfortable win,” Vorster said.